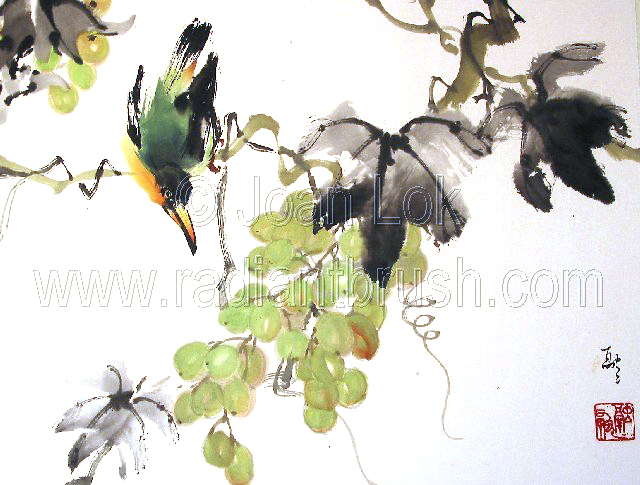 We are pleased to have nationally and internationally recognized sumi-e artist, Joan Lok, to give us a weekend workshop on sumi-e painting (also called Chinese or Asian brush painting). 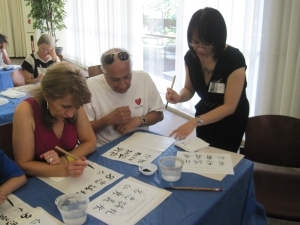 Too numerous to list, Joan’s awards in this field as well as her ten-year tenure as President of the Sumi-e Society of America, make Joan a very popular instructor. In addition to a full-time career in painting, Joan has used her advanced degrees in Business Administration to create and lead programs for developing financial literacy among Maryland workers. 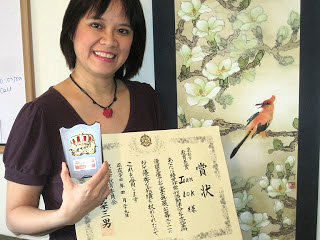 Please refer to her biography: Meet Joan Lok for more information about this extremely accomplished artist and community development advocate. What will be taught: Joan will approach this as a two-day overview for advanced beginners. 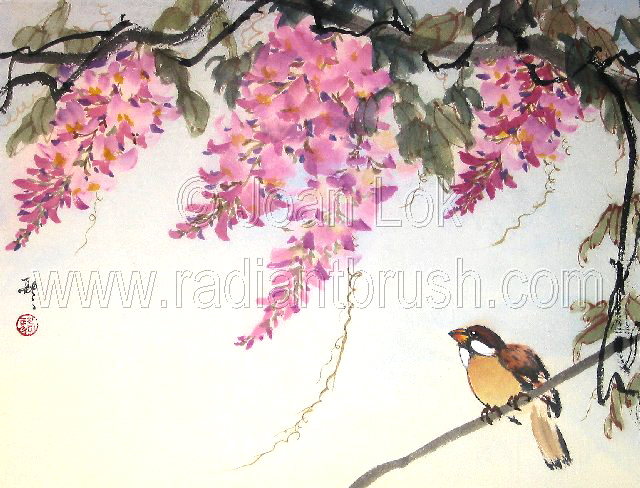 The first day will be on the materials, basic strokes, loading the brush, and we will practice bamboo and orchid. Then we will try a colorful flower with leaves, such as morning glory or hydrangea, in which each stroke is a petal or leaf. On the second day, we will do birds or fish, such as gold fish, Japanese koi, rooster, hen and baby chicks. Throughout the two days, Joan will discuss basic sumi-e composition, which is quite different from composition in western art. Price: $130 for all BWS members (including associates) or $150 for non-members. Participants will be limited to 24 students. We are expecting to easily fill this workshop! No splitting days of the workshop with another person. Workshop will take place in Olney, MD at The Buffington Building. The address is: Olney Community Room, Buffington RE/MAX Building, 3300 Olney-Sandy Spring Rd, Olney, MD. The main entrance to the room is on the side of the building facing the Bank of America. You will be able to leave your supplies (but not valuable electronics) in the room overnight, as the room will be locked. Parking is limited right outside the room, but there is lots of parking in surrounding shopping centers. There are lots of good fast food places within walking distance, but it is always best to bring a bag lunch to a workshop. Coffee and tea will be provided gratis by BWS. The supply list is obtained by clicking the link below. Confirmation will be sent upon receipt of your check or online sign-up. Each workshopper will receive one free quality sumi-e brush! Workshop coordinator: Susan Murphy, 17520 Doctor Bird Road, Sandy Spring, MD 20860. Registration will start on January 13 for BWS members. Registration for the general public will open on February 1. Come join us for this fun weekend workshop!